A video essay about Rainer Werner Fassbinder, made for 20th Century Flicks’ screening of The Bitter Tears of Petra Von Kant (1972) at Cube Cinema on 28 April 2016. Also, here’s a couple that I made earlier: one on Jean-Luc Godard for our Bande à part (1964) screening, and one on Jean-Pierre Melville for Le cercle rouge (1970). A supercut of clips from Joe Dante’s films made for 20th Century Flicks’ screening of Gremlins and Gremlins 2: The New Batch at Cube Cinema on 17 December 2015. After the pedestrian turgidity of the Alien vs. Predator (2004) sub-franchise it became clear that all the demonic killing machine of Predator (1987) needed a metaphorical fresh lick of paint and to be sent back out into the jungle to tangle with another group of hapless marines without too much trouble: the formula worked, while attempts to stray from it proved unworkable. This is, in essence, what this Robert Rodriguez-produced action film offers, though coming post-Lost, there is the inevitable need to contrive a plot which throws together a seemingly arbitrarily-selected group of strangers and literally throw them into a deserted wilderness where they come to overcome their initial suspicions of each other and try to figure out where they are and what has happened to them. And so Predators does, and for a few of its opening scenes there appears to be some life in the simple rehashing of John McTiernan’s original action thriller, but unfortunately this promising setup of disorientation and team-building quickly descends into farce as soon as it becomes obvious that the characters within the film are mostly little-more than borderline-racist caricatures of broad national stereotypes. There’s poor Danny Trejo, playing yet another comedy Hispanic muscleman, the kind that even a Spaghetti Western hack director might have balked at for being too one-dimensional. There’s the big Bond-villain-sized Russian half-wit who is sure to turn out to have a heart of gold before dying violently. Then there’s the stern-faced but sexually alluring Latina who obviously has to make it through to the last reels in order to sustain some sense of sexual tension as a character motivation for the protagonist. Worst of all, there’s the silent Yakuza inevitably handy with a samurai sword, and a lumbering African tribal warrior who is (of course) more in tune with nature than the rest of the troupe and therefore more able to sense danger than the others. Throw in a knowledgeable doctor and an ex-Black Ops marine for regular expositional helping hands, as well as a wisecracking jocular type for levity (though an obviously inferior aping of Aliens’ Hudson) and you have the gang whose plight Predators asks us to sympathise with. The sheer cardboard simplicity of these archetypes gives a sense of the ambition of the film, which is ultimately very limited indeed – with depressing predictably they swiftly come face-to-face with the dread-locked trophy hunters and face routine fights to the death for their survival. Somewhere in the combination of the utter lack of sympathy for any of the characters and a leaden script which never rises above the run-of-the-mill , Predators somehow manages to be crushingly dull, despite director Nimród Antal’s fairly competent handling of the action set-pieces. As opposed to the creeping sense of dread that McTiernan’s film successfully inspires, the story offers a near-complete lack of physical menace here, quite an acheivement given the inherent menace of the titular ruthless extra-terrestrial assassins. 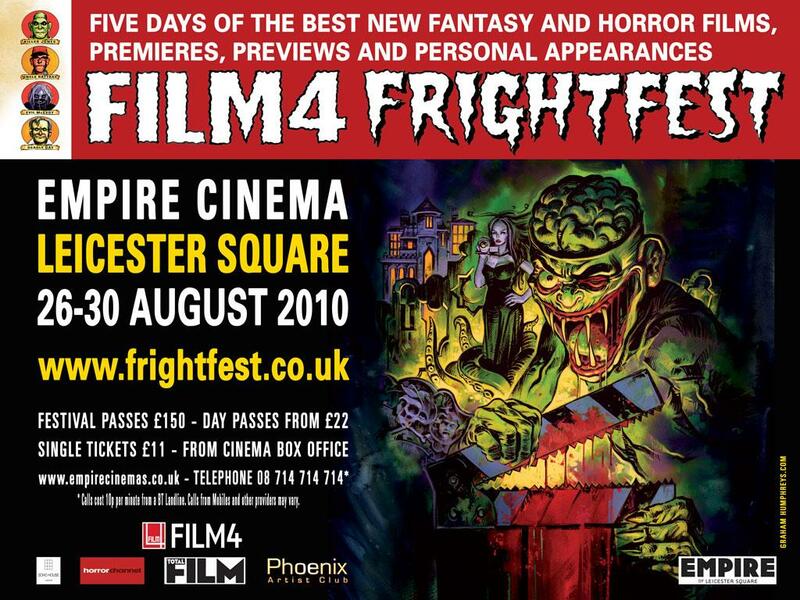 In the UK, the film has been rated a 15 (in comparison to the original’s 18 certificate) redolent of the fact that this is ultimately a film designed to scare adolescents rather than adults. Predators, then, proves to be an utter waste of time, though it will undoubtedly take money and, by extension, spawn a host of unnecessary sequels and prequels. The concern on Adrien Brody’s face throughout speaks not of his character’s travails but of an Oscar-winning actor who has been reduced to doing bilge like this and the only marginally worse Giallo (2009). Lawrence Fishburne appears midway-through, but appears to be watching an off-screen video of Apocalypse Now (1979) in order to pick up acting riffs from Marlon Brando, as well as just-as-unsuccessful dietary tips. I can’t help but mourn slightly for what has been lost in the transformation the original’s post-Vietnam paranoia into this bland, meaningless game of intergalactic cat-and-mouse; a symptom of a wider malaise in action movies, or just a plain lazy cash cow? Either way, avoid.